Nissin Cup Noodles and HyperX went all out for one of their silly April Fools' Day pranks today, introducing the HyperX Cup MIX-IN, headphones designed to create the "ultimate sensorial experience" while eating Cup Noodles. "To create a seamless experience for gaming fans, Nissin and HyperX sought to eliminate the slurping-based reverberations of eating Cup Noodles that often interrupt crucial video game streams. 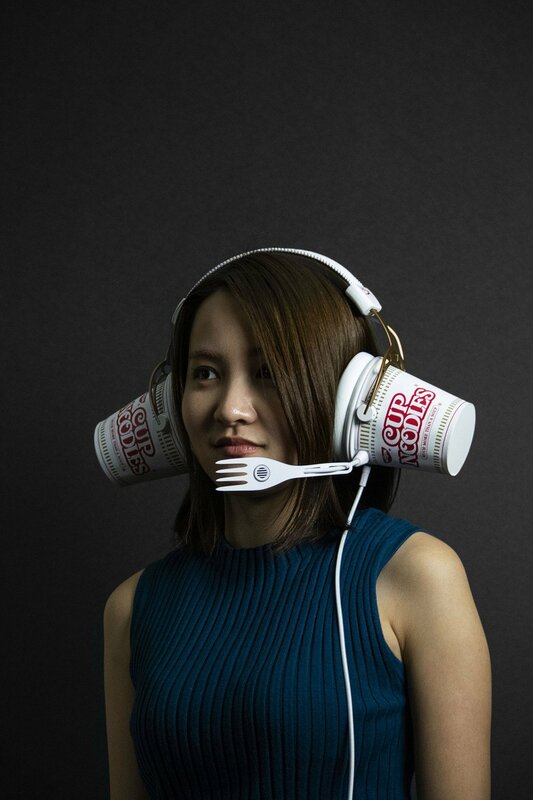 Now, the detachable noise-cancelling Microphork™ allows gamers to enjoy their Cup Noodles, while still providing a clear, high quality line of communication to their teammates. Gamers can easily detach the fork to slurp on Cup Noodles while simultaneously playing the video game – all without missing a beat." 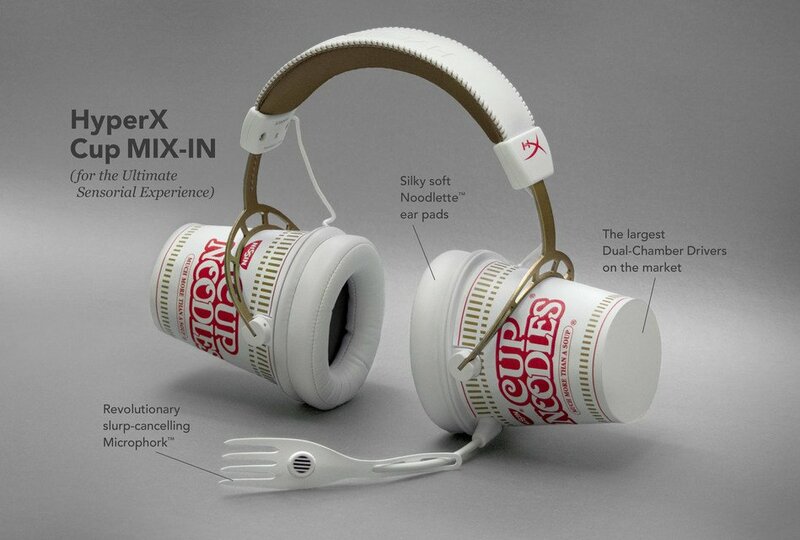 These headphones may look ridiculous, but the cups are home to tasty noodles. Yes, you're supposed to use that fork sticking out to shovel in noodles. And the "Noodlette" ear pad is supposed to feel as silky soft as noodles on your ears. Look, Nissin, I'm trying to eat low-carb here, and I'm feeling personally attacked by all these delicious noodles surrounding me. "Just in time for April Fools' Day, Nissin is selling limited quantities of the limited-edition headphones on NissinFanStore.com on a first-come, first-served basis. However, this will not be the end of the collaboration between Nissin and HyperX, as the two companies are in talks to develop a full gamer set, including a heated mousepad to keep players' Cup Noodles warm during marathon gaming sessions." So, you see, YES – there were a few pairs of this silly set of headphones made in celebration of April Fools' Day, but they've since sold out. They look a little uncomfortable, but more than a bit kitschy and fun, too. Could have made a great conversation piece, a the very least. Good idea for the holiday, Nissin and HyperX! We'll consider this a successful April Fools' Day joke. The microfork makes this actually pretty great.